There are many individuals who, if it were not for a VA loan, would not be in a financial position to build a home. One of the biggest pluses of a VA loan is no required down payment. VA guaranteed loans are available to eligible veterans; and for details concerning eligibility rules, visit the U.S. Department of Veteran’s Affairs Website. The ‘guarantee’ in VA guaranteed loans means the lender is protected against loss if you fail to repay the loan. This type of assurance takes the place of a normally-required down payment. Due to the collapse of the housing market, new construction represents an element of risk that lenders are very aware of; and because of that, some lenders are hesitant to provide mortgages for new construction. So, the challenge, if you will, is to find a lender that is willing to offer what is termed a “construction-to-permanent” mortgage, designed to cater to new construction, with minimized inherent risks. It is a new type of financing that is helping veterans acquire new construction loans during a time when lenders are, understandably, wary. So Where Is The Sunshine IN All Of This? 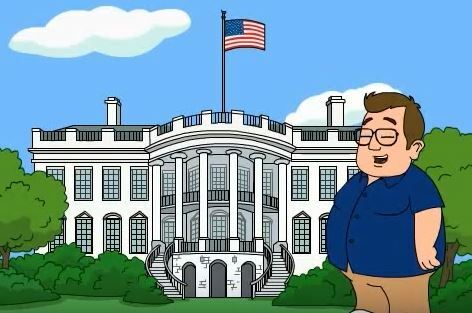 So How Does The 3 Year VA ARM Fit Into All Of This? What is VA Hybrid Loan? Who Can Qualify for a VA Hybrid Loan? How can the VA hybrid Arm benefit you? VA Hybrid Arm Loans – The Pros and Cons. With this type of financing, you’ll begin with a construction loan from the builder and then you’ll finance that short-term loan into a long-term mortgage. As with any loan, there are certain qualifications that must be met. Many veterans may not realize they do not need a copy of their Certificate of Eligibility known as COE, to start the lending process. It is entirely possible to become preapproved even before any COE is confirmed. Once the COE is required, some lenders are happy to obtain the COE for the veteran. Preapproval will give you a real indication of what you can afford. This is not a guarantee but simply means the loan officer is ready to begin the initiation of the loan process based on your pertinent, financial data. Of course, there are conditions that must be met. A preapproval letter is extremely important since its purpose is to inform all relevant parties that personal information concerning you has been reviewed by a certified VA lender. Psychologically, this letter acts as an “earnest indicator” to display your sincerity with using VA benefits. The conditions stipulated in the preapproval letter have parameters that cannot be modified, such as changing one’s debt-to-income ratio. If one’s debt-to-income ratio were to change and it no longer mirrored the ratio stipulated in the letter, one’s preapproval would become null and void, plain and simple. Assuming all is going well, you will enter into a purchase agreement and the loan officer will order an appraisal. Your financial details, such as tax statements and credit scores, as well other vital information, will all be intimately scrutinized by an underwriter to ensure the loan application meets the VA guidelines as well as the lending institution’s requirements. Once you make it to the “Clear-To-Close” stage, you can wipe the sweat off your brow! At this point, you will have a secure commitment regarding VA mortgage financing. Take ownership of your new home! Only the very basics have been covered here. 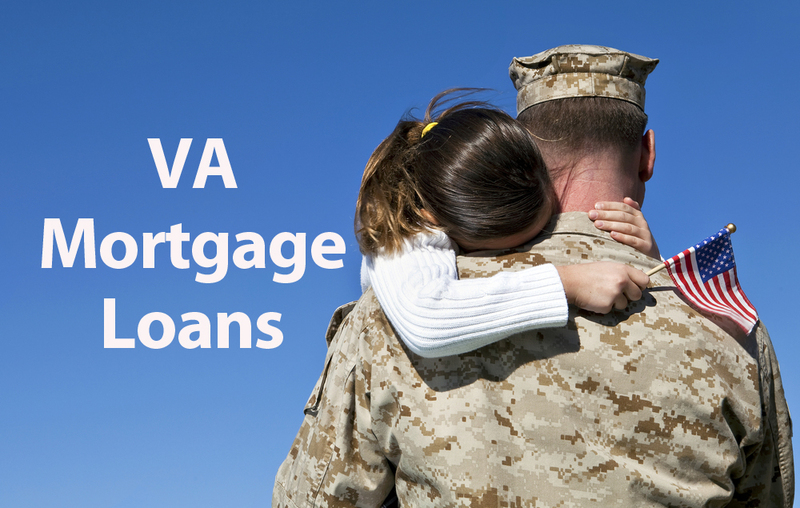 Contact a VA loan specialist for all the details. Best of luck with pursuing that American Dream! Veterans Affairs (VA) is specific about who qualifies for a VA loan, and why. You will need to verify that you fit into any one of these categories: served in active duty for at least two years and with honorable discharge, served in active duty during wartime for at least 90 days and with an honorable discharge, served in Selected Reserves or National Guard for at least six years and with an honorable discharge, served at least 180 contiguous days during a specified peacetime, or surviving (and un-remarried) spouse of a U.S. veteran. Once you have determined that you are eligible, you must obtain a certificate of eligibility for your application package. You will have to visit the VA website and fill out a form to apply for your certificate, which will be sent to you in the mail. Or, you may find a regional loan center that will process your application for certificate and deliver the certificate to you on site. Lenders will need this certificate in order to help you get the actual mortgage loan. It should be relatively simple to find a variety of banks and mortgage lenders that are VA-approved. However, you will still have to screen providers to find one that is reputable, competent, and a good fit for your needs. Inquire with veterans you know to ask who they used, and search the web to find lenders, as well as customer reviews. Once you find an acceptable loan provider, you will be ready to initiate the loan process, and your loan officer will be able to guide you through the next step of putting together an application package. In order to apply for a VA purchase loan, you will have to complete a stringent application process. In addition to completing an application form and providing your certificate of eligibility, you will also have to put together an application package will include proof of income, an appraisal, a declaration of occupancy, and an acceptable credit record (your lender will pull your credit report; most VA programs require at least a score of 640). If you’re not sure about your current credit rating, have it pulled before you even start this process so you can start fixing your score in advance. A VA purchase loan can be a very powerful tool when it comes to purchasing your new home with the best possible terms. Keep all of these points in mind when preparing yourself for the application and qualification process. Many VA Loan experts are saying to consider the VA 3 year ARM loan for VA Refinances, VA Streamline Refinances and VA 100% new purchase loans. Many VA loan experts are saying yes, the VA 3 year ARM loan could make more sense and could be a smarter choice than closing your VA loan at today’s VA fixed rate loan. With all the negatives surrounding ARM loans flooding the airwaves in recent months many Military Veterans and active military looking to buy a home or refinance an existing VA loan are very skeptical if anyone even whispers the 3 letters “ARM”. That skepticism is certainly understandable considering all the whore stories we are hearing in the news about borrowers who have fallen victim to the many unscrupulous lenders out there selling their prey on low teaser rates and blue sky, knowing that these subprime loan programs will eventually reset and inevitably balloon beyond the financial means of most of their borrows. The unfortunate reality for many of these victims is the resulting foreclosure and devastating losses. We can all thank God for the Veterans Administration and its intense scrutiny and regulation over its VA Approved Lenders. The VA vows to protect Veterans and Active Duty Military personnel who have an interest in purchasing a new home or refinancing an existing VA loan from the predatory practices some subprime lenders use just to close a loan. Veterans can rest assured that the VA loan programs the VA offer employ safeguards to protect Veterans from excessive fees and high interest rates which include their ARM (Adjustable Rate Mortgage) programs. As long as a Veteran works with a VA approved lender that is experienced in VA Mortgage lending, these VA mandated safeguards and protection will be in play when originating a VA new home purchase, Streamline Refinance or VA debt Consolidation Refinance. Just one word of caution to Veterans, not all VA lenders are created equal. It’s important to work with a VA Approved Lender that specializes in VA Mortgage lending and one who knows and understands the VA loan process, regulations and guidelines. This article addresses some excitement out there among VA Loan originators about the VA 3 year ARM (Adjustable Rate Mortgage” program. Why? Today’s fixed rate interest rate on a 30 year fixed is hovering around the mid 6.5% range whereas the VA 3 year ARM program interest rate is closer to the mid 4.5% range right now which remains fixed for the first 3 years. That is close to 2 % lower in interest rate and payment for at least the next 3 years. Every better, after the first 3 years, the interest rate can only increase 1% per year, and a maximum of 5% over the life of the loan. So theoretically it would take going into the 5th year before the interest rate on the VA 3 year ARM to reach today’s 30 years fixed rate of somewhere around 6.5%. Many industry experts feel this program is a great alternative to a 30 year fixed rate loan program. It is true, however, if monthly payment is not an issue, it is always best to close on a 30 year fixed when fixed rates are in the 6%” like they are now because the downside to any ARM, even the VA ARM programs is that the interest rate could eventually exceed today’s low fixed rates. However, one factor to consider is if the VA 3 year ARM looks like a good and reasonable alternative to the fixed rate loan based on your financial needs today, the VA provides the potential down the road to do a VA Streamline Refinance out of the ARM loan and into a fixed rate VA loan if the VA 30 year interest rates warrants refinancing at that time. The VA Streamline Refinance is a wonderful refinance program for Veterans to use as needed because there are no out of pocket costs or need for a new appraisal or re-qualifying as long as your financial standing hasn’t changed. Quite possibly the best VA Loan program for today’s market. The interest rate on this VA loan program is fixed for the first 3 years and could be as much as 2%+ lower today’s fixed rate. The rate can only increase 1% per year which means theoretically it would be into the 5th year before reaching today’s fixed interest rate. The downside is after 5 years it would still increase 1% per year to a maximum of 5% lifetime cap. After the first 5 years would be a good time to do a VA Streamline Refinance if rates are lower then than today’s fixed rate. Not a bad bet. A VA(Veteran Affairs or Veteran Administration) Hybrid Loan functions just like any other good hybrid: it combines the best of two different elements. The hybrid loan is the combination of a fixed-rate loan with a variable-rate loan, giving you the best of both worlds. But what makes a VA Hybrid Loan better than the average bank loan is the fact that a portion of the loan is guaranteed by Veteran Affairs. This means banks can give you more favorable terms. This, in turn, means substantial savings for your family. 1. For the first 60 months (or 5 years), of the loan, it performs just like a regular 30-year, fix-rate loan. Your interest rate won’t move at all during this time. You’re locked in. This is great, because the theaverage homeowner is only in a loan for 3.7-4.2 years. And you can streamline out of VA Hybrid Loan at anytime you deem necessary or advantageous. 3. It can NEVER go up or down more than a 1% MAXIMUM in any given year. You’re capped there, at 1%. So, if you end up in a very volatile real estate market at the end of your 5 years, you can rest assured that your loan will only move 1%. This is an excellent hedge against uncertainty in the market. And remember, you can streamline out of the VA Hybrid Loan at any time. 4. Even if the market continues upward, your loan will top out at a maximum of 5% over your loan’s starting point. If you started at 2.25% then the max interest rate you will ever pay will be 7.25%. If the mortgage interest rate ever hit the astronomical 18% of the 1980’s, your VA Hybrid Loan will shield you with it’s 5% cap, while your neighbors could be struggling. Whether buying a new home or refinancing a current VA loan, the VA hybrid loan has numerous benefits that all Military and Veteran home owners and buyers should understand. Buying a home with a VA hybrid loan. Buying a new home can be a very rewarding process and at the same time can be one of your most stressful decisions ever. Using a VA hybrid loan can however, make the financial stress of buying a new home feel lighter and easier to shoulder. The VA hybrid loan is great for people that are moving to a new area and getting a new job and know that a few years down the road that their income will increase. Suppose that you find the right house and you know that years from now you will be able to comfortably make the mortgage payments, but right now perhaps they would stretch you a little more than you want. A VA hybrid loan will allow you to have much lower payments than if you were to take a 30 year fixed rate loan. Refinancing a home with a VA hybrid loan. When thinking about refinancing, most people are wanting to consolidate debt and lower their payments. One of the best ways to lower your payments is to also lower your rate along with the debt consolidation. As mentioned throughout this site, the VA hybrid loan has anywhere from 1%-1.5% lower rates than its 30 year fixed counterpart. Using a VA hybrid loan with your VA refinance makes total sense and should be looked at. Even if you are not wanting to consolidate debt, but instead do home improvements or just get some cash, the VA hybrid mortgage will allow you to do this at a much lower interest rate and much lower payments. Using a VA streamline loan with the VA hybrid Arm. 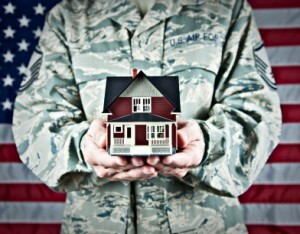 VA streamline loans are the most popular type of refinance loans for Veterans. The VA streamline loan is a fast and easy way to get a lower rate on your VA loan than you have now. It is common however, when a Veteran wants to refinance his/her home that current interest rates are not low enough to save much money. In cases like this where your current VA interest rate is not high enough for the 30 yr fixed rate to save you money, you should look and see just how much the VA hybrid rates could save you with the VA streamline. Most Veterans will come to the conclusion that the VA hybrid loan will make streamlining the VA loan worthwhile. If you are like most Veteran home owners then most likely you have been made aware of the VA hybrid adjustable loan lately and have wondered what is good about it and what is bad about it. On average you will have a 1%-1.5% lower rate than the 30 year fixed interest rate available at that time. You are able to pay your loan’s principle balance down much faster on a VA hybrid loan. Because the rate is lower, which makes your payment lower, you can qualify for a bigger home. You can take the savings from the lower interest rate and apply them to credit cards and save literally thousands in interest quickly! The rate is fixed for 3 or 5 years. The interest rate can never go up more than 1 time a year. The interest rate can never change more than 1% at a time. There is a life time cap that allows you to know your rate will always stop going up at some point. Nobody knows when and how high rates will go. Your rate can go up. Literally, other than not knowing if your rate will go up or not is the only real drawback to the VA hybrid Arm loan. Once you understand exactly how the VA hybrid loan works you will see that all of the other benefits or pros about this loan greatly outweigh the cons. If used properly, the VA hybrid loan can enhance your financial health. Perhaps the most important thing you can do on your path to determining if the VA hybrid Arm loan is the right loan for you is to research. We feel that most people will come to the right conclusion about the pros and cons of the VA adjustable rate loan after reading and researching this VA loan. This site is provided by the VA for anyone searching for information regarding VA loans and financing. If you need assistance understanding or utilizing your VA benefits, then this is a good place to look around. If you are thinking about buying a home and DO NOT HAVE YOUR VA Certificate of Eligibility (COE), then click here to download the needed form to apply for the COE. Fill out the form as complete as possible and then mail it to the address in North Carolina which is on the top right corner of the form. In most cases you will not need to have a DD214 to get a VA mortgage. In some unique cases if the Dept of Vets Affairs cannot locate you in their system, then it may be beneficial to have your DD214 to prove your entitlement. You can find instructions on obtaining your DD214 and download a form here. More details about the EEM loan. Did you know that there are even new TAX LAWS which enable you to receive tax credits and deductions?